Valtra, the company that develops, manufactures and services Valtra tractors, renewed its lubricant range sold under the Valtra brand in spring 2015. Neste, the company's new partner as of the beginning of the year, customized the composition of the products to meet Valtra's needs. Neste also supplies the fuel, all lubricants and coolants as well as urea solution for use in new tractors to Valtra's factory. "At the same time with the change in the supplier, we also renewed the product names, packaging and labels of our lubricants according to our renewed brand," says Petteri Väisänen, Product Manager at Valtra. 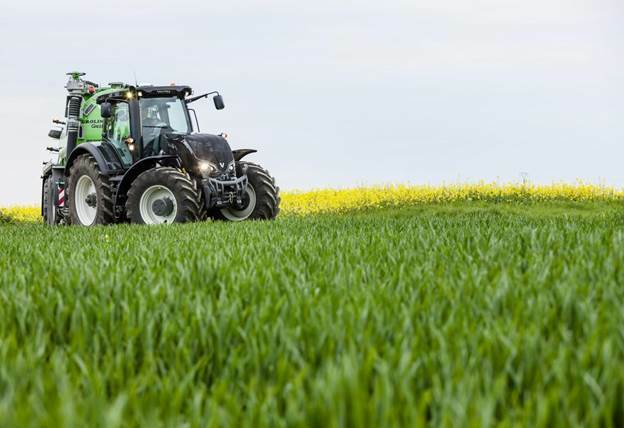 Valtra cooperates continuously with Neste in developing jointly transmission oils, among other products, and meeting their specifications was among Valtra's key requirements. "We are a Nordic brand and our equipment must also work in extreme cold. I dare say that the XT60+ transmission oil developed with Neste is a premium product that works better than any similar oil, especially in cold conditions. Its viscosity and shear stability are top-class," says Jussi Anttonen, Manager, Parts Sales for Finland and the Baltic countries at Valtra. High-quality base oil production, which allows the utilization of Neste's own base oil flexibly in different products, is Neste's advantage in R&D work. The base oil sector is currently growing at a fast rate hand in hand with increasing engine and transmission requirements, aiming to achieve lower and lower emissions and friction, while the running temperatures increase. "As power and intensity has increased continuously in engine technology, both engines and transmissions increasingly demand lubricants. The trend is also towards longer service intervals, and the development of lubricants can make a difference in this respect," Anttonen says. According to Anttonen, approximately three million liters of Valtra lubricants are sold annually in the Finnish and Baltic aftermarkets. Valtra expanded full-scale lubricant deliveries to the Baltic countries together with Neste as of the beginning of the year, and growth in sales is sought from the region in this sector. "We have an extranet order system, allowing our spare part dealers to also order lubricants to be delivered directly to the customer, exactly when agreed. We have received extremely positive feedback from the field regarding the smoothness of deliveries." According to Anttonen, Neste's strengths as a partner include an in-depth understanding of the customer's situation and special requirements. They also appreciate the fact that Neste is a Finnish company. "A certain type of a 'can do' attitude is what sums up our cooperation best. Flexibility and adaptability are important to us."